Vanity von Glow is portrayed by London-basedinternational cabaret performer Thom Glow.​ A musician, songwriter and female impersonator Thom began performing as Vanity von Glow in 2008 in his native Scotland. From humble beginnings in Glasgow’s gay performance venues to hosting the famous Dreamboys show in Edinburgh, Thom developed his craft as a comic performer and glamorous provocateur. Between 2008 and 2012 Thom built up a reputation as Scotland’s leading female impersonator performing several shows a week, and co-hosting drag superclub Menergy. By the age of 21 Thom had topped YouTube’s list of the most viewed comic acts in the country for his numerous comedy clips and racked up in excess of 300,000 online hits. Taking a step away from traditional drag, Thom instead uses the character of Vanity von Glow to parody a modern, 21st century idea of celebrity. Putting his piano-playing skills – developed at the age of seven – to good use, Thom sings not just popular chart hits in his show, but also an array of his own comic parodies and originals. 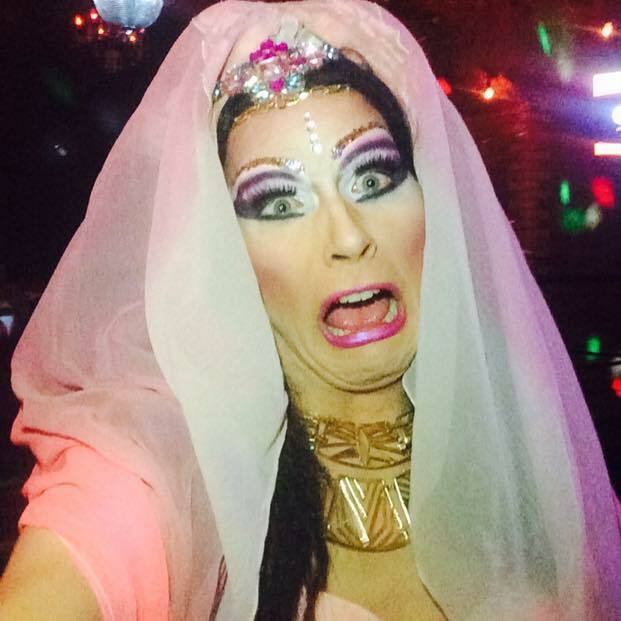 Thom has performed as Vanity von Glow in every corner of the United Kingdom, and internationally in Europe. Whether hosting in nightclubs, performing live at the piano in cabaret venues, or bringing his outrageous show to hen party, corporate, or wedding events, Thom executes his performances as Vanity von Glow with incredible dedication and flair.